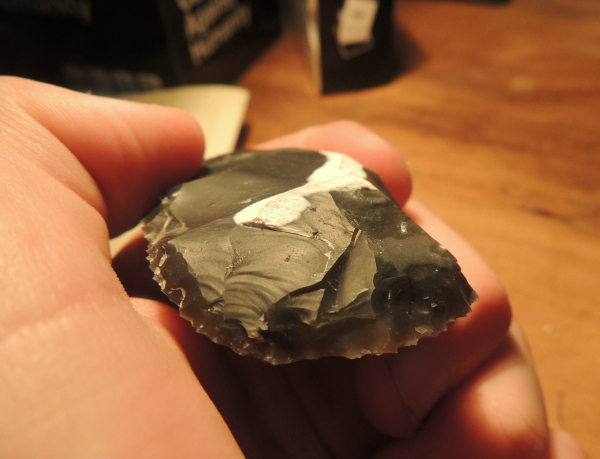 Thought I should introduce myself, I'm English, 16 years old (GCSE year) and interested in archaeology, metal detecting and now I've just started to try my hand at flint knapping. This forum looks like a good way to learn from the experts so I thought I would join. 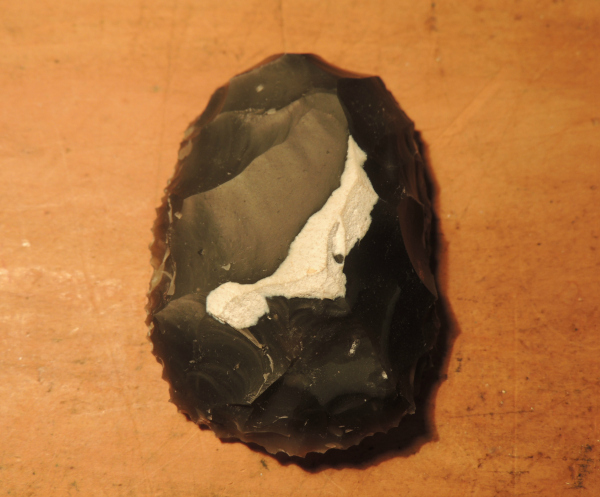 I've read through some of the basic theory of knapping as well as watching some YouTube videos and had my first proper attempt with the right equipment this afternoon. and after quite a few mistakes (as you can see) I ended up with this scrapper-like thing, quite chuffed with it despite it's crudeness, looking forward to trying it again, hopefully with less errors! thankyou! Anyone who manages to get anything on their 20th attempt, let alone 1st attempt has done good. That also looks a pretty good scraper, better than many prehistoric ones. 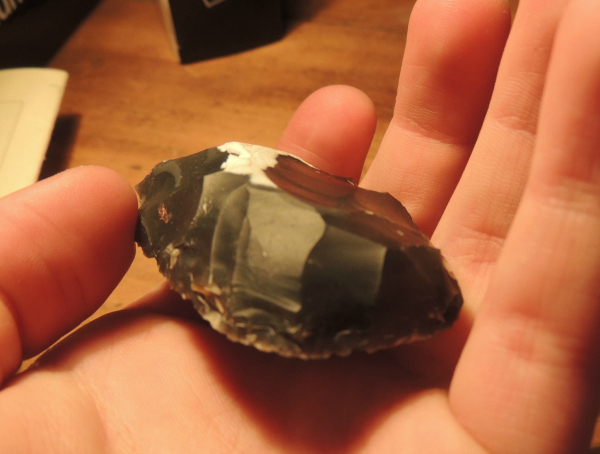 There are some good basic knapping tutorials here, link and also on the video section of this forum. cheers Grendel, looks really useful! Hi Steve, thanks! the flint came from a ploughed field I was detecting in! The kit was a birthday present and at the moment i'm using a copper rod for percussion flaking, I'm going to try and buy hammer stones and antlers to try and make it more authentic in a way. Digginglikemad! wrote: cheers Grendel, looks really useful! Hi Steve, thanks! 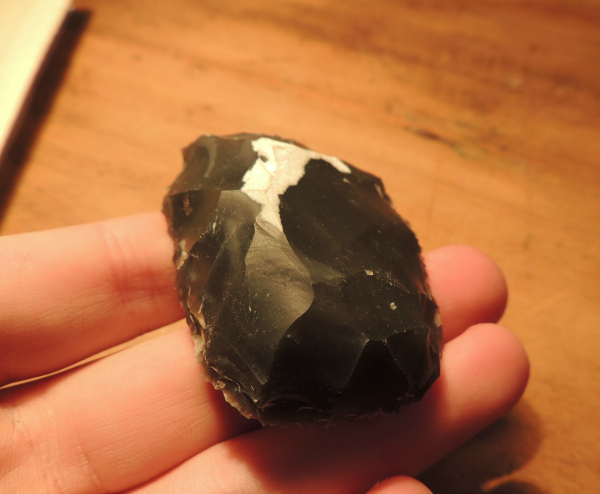 the flint came from a ploughed field I was detecting in! The kit was a birthday present and at the moment i'm using a copper rod for percussion flaking, I'm going to try and buy hammer stones and antlers to try and make it more authentic in a way. i prefer authentic - if you need any tools the chaps on here are the ones to ask, Gerndel has an online shop for knapping tools. you can get some antler from pet shops - they sell them as dog treats. great cheers! i'll check out Gerndel's online shop! do you have a name or link for it? Digginglikemad! wrote: do you have a name or link for it?